On the heels of announcing a new album with his bandmates in the National, Bryce Dessner has now detailed plans to deliver a new classical music album. 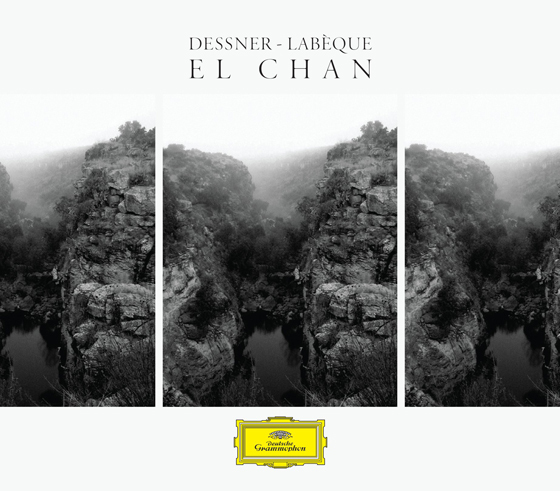 Titled El Chan, the effort is set to arrive April 5 through Deutsche Grammophon. The album was recorded alongside pianist sisters Katia and Marielle Labèque, in addition to guitarist David Chalmin, and features three pieces composed by Dessner. A press release notes that El Chan's titular piece is dedicated to director Alejandro Gonzalez Iñárritu and his wife Maria Eladia Hagerman, and was "inspired by the mythical guardian spirit, 'El Chan,' of a pool of water nestled in the canyons close to Iñarritu and Hagerman's hometown of San Miguel de Allende." Iñarritu also designed the album's cover art, seen above. Previously, Dessner contributed to the score for the director's 2015 film The Revenant. Find videos of the Labèque sisters performing "Concerto for Two Pianos" and "Haven" below. As previously reported, the National's new album I Am Easy to Find arrives May 17 via 4AD. You can also see their upcoming tour dates here.